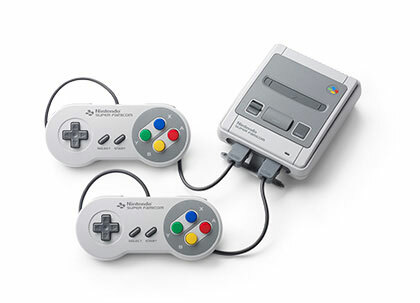 Nintendo re-releases its Super Famicom in mini format with twenty one built in games including (and its hard to trim this list down! ): Super Mario World, F-Zero, Mystical Ninja, Ghouls and Ghosts, Zelda, Super Contra, Super Mario Kart, Rockman X, Super Metroid, Super Street Fighter II, Yoshi's Island, Super Donkey Kong, Kirby Super Deluxe and Starfox plus the previously unreleased (those rumours were true in Super Play magazine) Starfox 2. Essential gaming education for the modern gamer and a vivid trip down memory lane for the more grizzled gaming veteran. 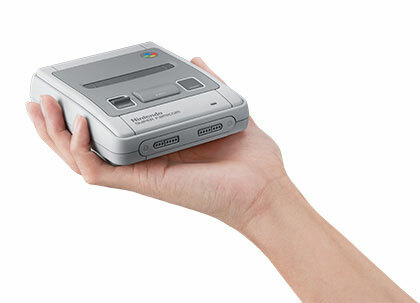 Don't worry though: the controllers are the same, original size. Brand new. Requires HDMI cable and power supply (USB.) NTSC capable TVs only.